Coconut oil is an amazing oil. Not only is it edible, it is also excellent for your skin. It is extracted from the matured coconut fruit and filled with skin nutritious Vitamin E, fatty acids, and proteins. 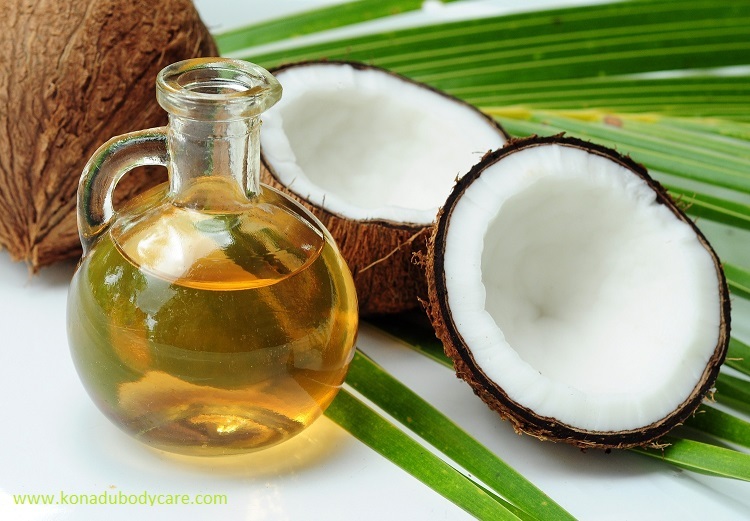 It is no secret that coconut oil is one of the superheroes of the natural beauty industry. It has moisturizing and anti-aging powers that heals dry skin, chapped lips, and removes dark circles. Its antibacterial and anti-fungal properties serve as a natural alternative to medicine for treating wounds and fighting skin infections. Coconut oil has been proven to be a natural remedy for eczema, reduce the appearance of acne, and it smells really good! Having coconut oil in your daily moisturizer is super important, because it has a natural built in SPF of 8, so not only is it moisturizing your skin, it is also protecting your skin from harmful sun rays. On its own, coconut oil can be used as an excellent eye-make up remover, reduce puffiness, bags and wrinkles under your eyes. It could also be used as a great skin softening and massage oil. Many of your skin’s discomforts can easily be comforted with coconut oil. To have rejuvenated, hydrated, and nourished skin, coconut oil must be an essential ingredient in your daily skin care regimen. Konadu Body Care uses coconut oil in its Body Butters, Body Lotions, Body Balms, and Lip Products. In our opinion, you are guaranteed smooth, younger, healthy, and naturally beautiful looking skin when you use Konadu Body Care products.